We love it when you talk about us behind our backs. You love us. We love you. It’s time to spread the love and share your secret with your inner circle. Well, here’s your chance to take your friends and family Underground and show them what we’re all about. 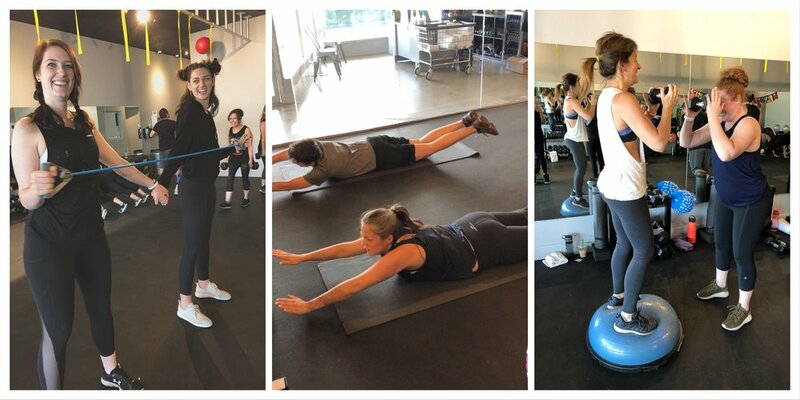 Introducing the Official Underground Fitness LA Referral Program. Bring a friend for a FREE first class. If they buy a 10-Class Pack, you get a $2 account credit to use whenever and however you'd like. If they sign up for an unlimited monthly membership (minimum 3-month commitment) you get $5 off your monthly membership for as long as your friend remains a member! THEY get a free class + a new fit fam. YOU get $$$ + a new partner-in-sweat. There is NO limit to your referral credits. Bring in enough buddies and you could be workin' it for free, AND impressing us with your ridiculous social cred. Oh, did we mention this applies to any existing referrals? You all have done so much to spread the word already. There's no way we were going to leave you out! STEP 1: Tell everyone you know. STEP 2: Have each friend create an account, listing YOU as the referral, of course. STEP 3: Make sure each of your referrals e-mails us at info@undergroundfitnessla.com to receive a free class credit. STEP 4: When your friend falls in love with UG and buys a membership, you will automatically receive your account credits. C’mon...no one is good at keeping secrets anyway. Time to assemble your crew. Share THIS LINK RIGHT HERE with your friends and family!